Beanstream Electronic Payment Processing provides secure payment processing for ecommerce merchants, including online credit card processing, merchant accounts, mobile payments, and direct debit/direct payment services. Since 2000 they have been providing these services to merchants both large and small across North America. 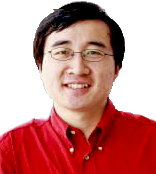 As of 2013, Beanstream was acquired by Digital River. Following the acquisition, the combined companies will process over $20 billion in online payments for 10s of thousands of clients across a wide variety of industries, including software, consumer electronics, government, utilities, event registration and mobile payments. 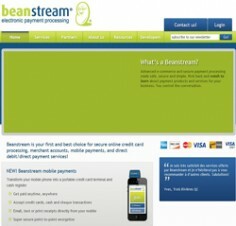 As a full service payment processor, Beanstream offers both payment gateway and merchant accounts. You can use any merchant account with the Beanstream payment gateway, but by combining both at Beanstream you receive valuable discounts. Merchant accounts with Beanstream require no contracts or upfront fees, have no contracts and will settle to any bank in North America (both the U.S. and Canada). The merchant accounts provided will process both Mastercard and Visa. They can arrange for you to accept Discover, JCB and US American Express through their gateway as well, however, you will need to set up a merchant account for the specific credit cards by contacting the credit card provider. The Beanstream payment gateway will allow you to accept payments in both US and Canadian dollars and if you have a US business presence you can gain global access to over 200 countries and 150 currencies. Beanstream has also recently added the capability to for you to accept payments through your smart phone with their mobile payment technology.